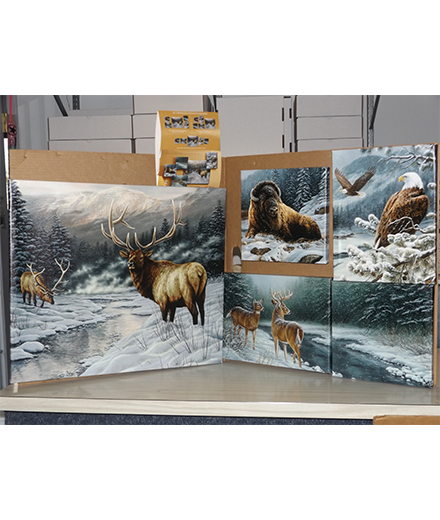 Product Description:Hang the canvases individually or simply assemble for a stunning three-dimensional presentation. Multiple Display Options. A very stunning set of pictures by one of our very talented South Dakota Artists Rosemary Millette. Product Size:1 - 25 1/2"x22" 2 - 14 1/2"x11" 2 - 11"x11"
This is a 5-piece Wrapped Canvas Wall Collage. Hang the canvases individually or simply assemble for a stunning three-dimensional presentation. Multiple Display Options. 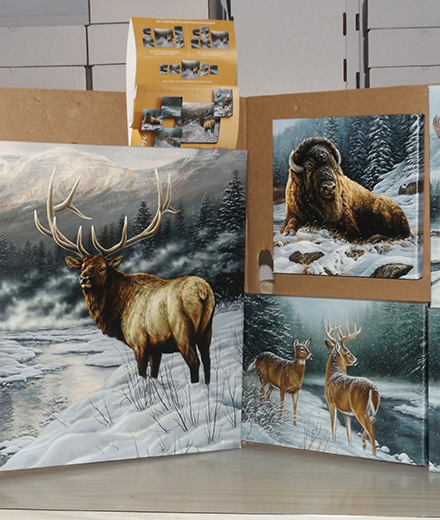 A very stunning set of pictures by one of our very talented South Dakota Artists Rosemary Millette. Set contains 1 - 251/2"x22" 2 - 141/2"x11" 2 - 11"x11"